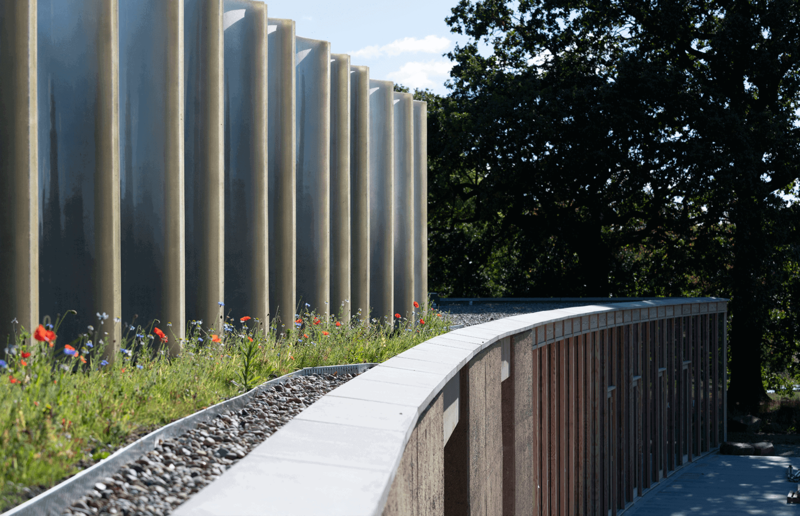 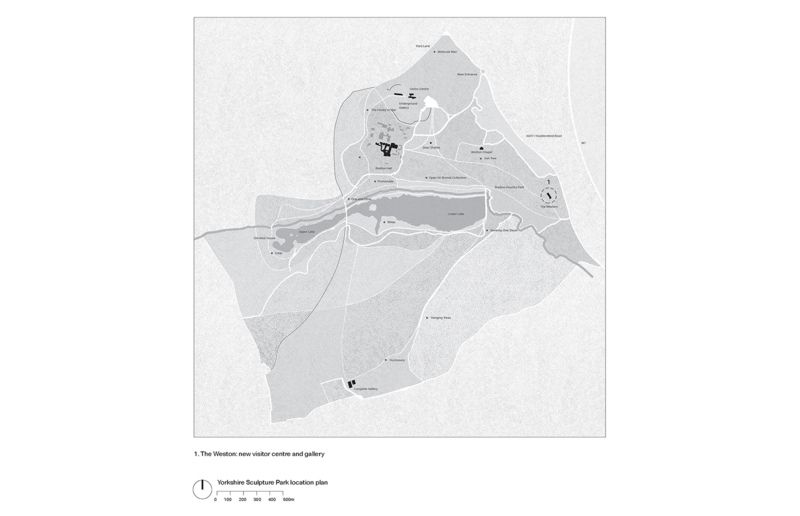 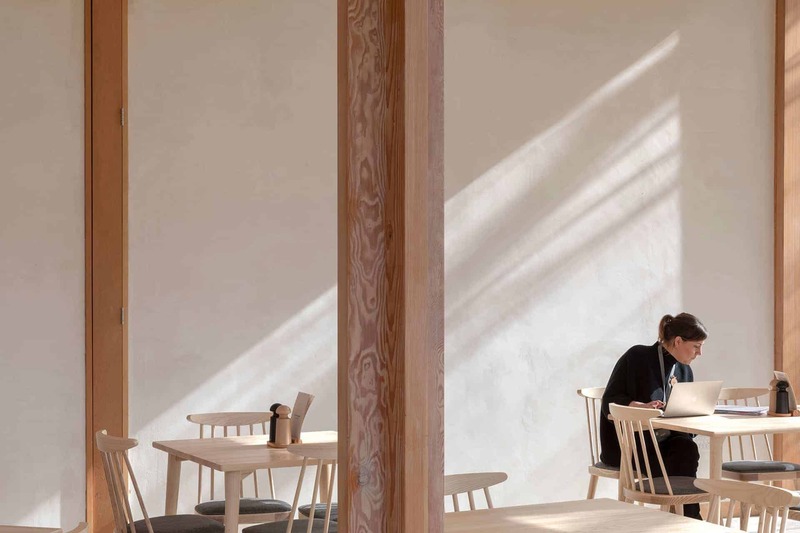 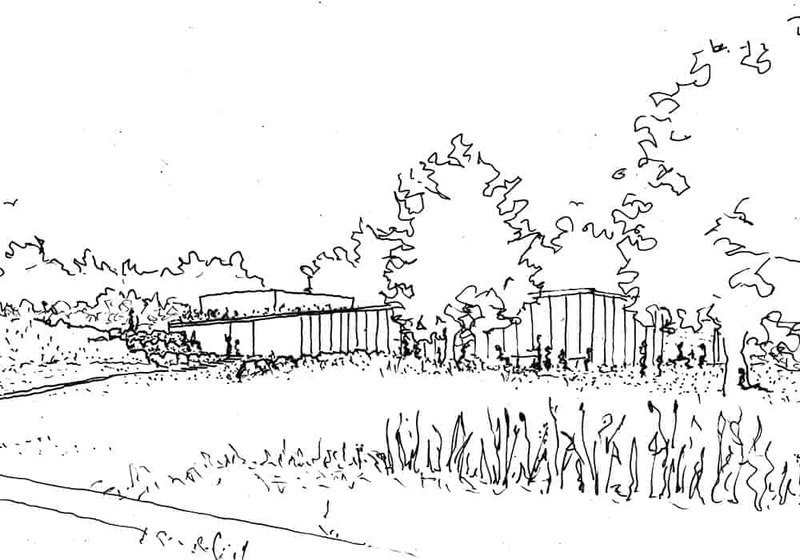 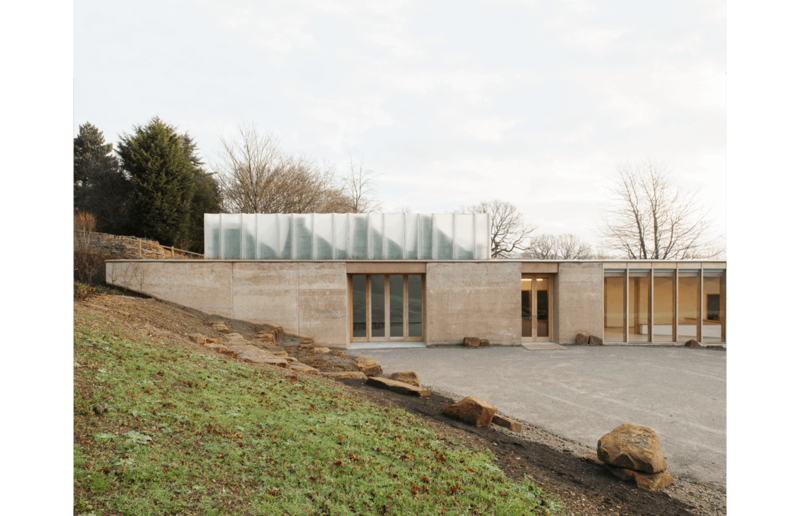 The Weston is carefully designed to have minimum impact on its surrounding site and, in common with previous Yorkshire Sculpture Park developments, to fit sympathetically within the historic landscape. 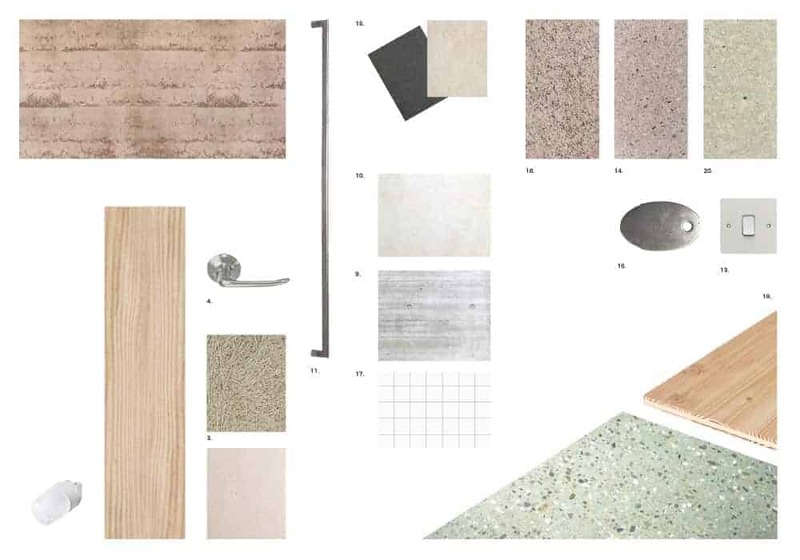 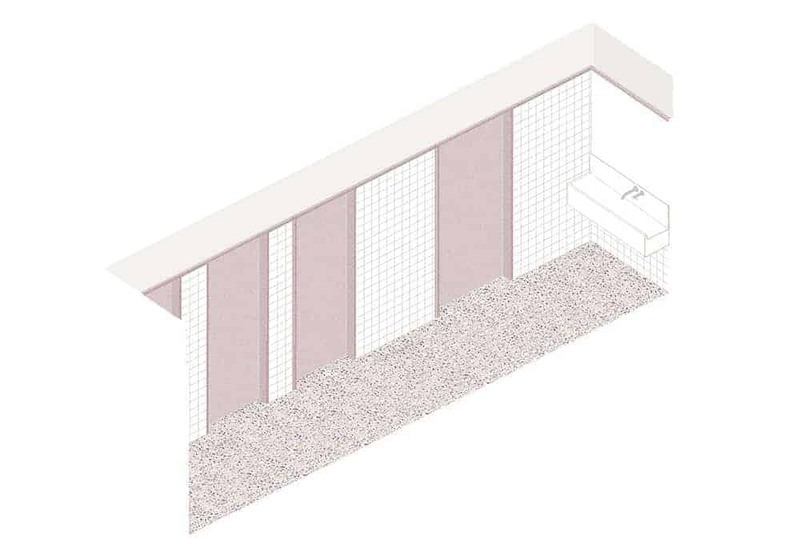 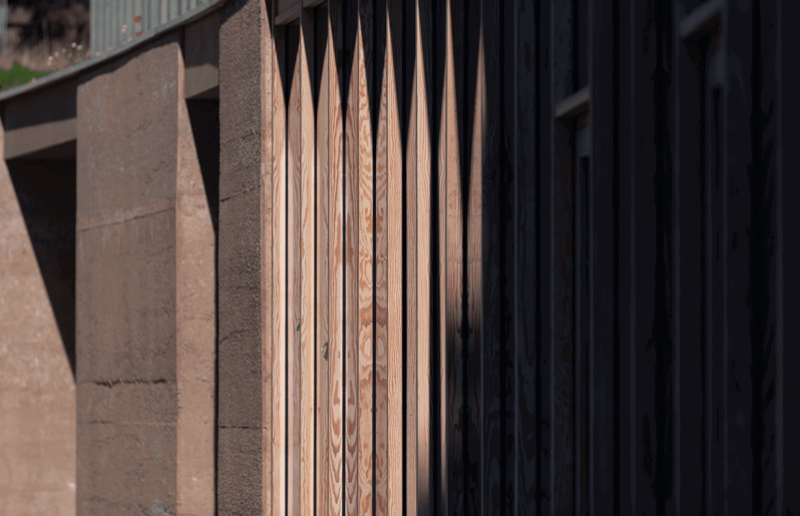 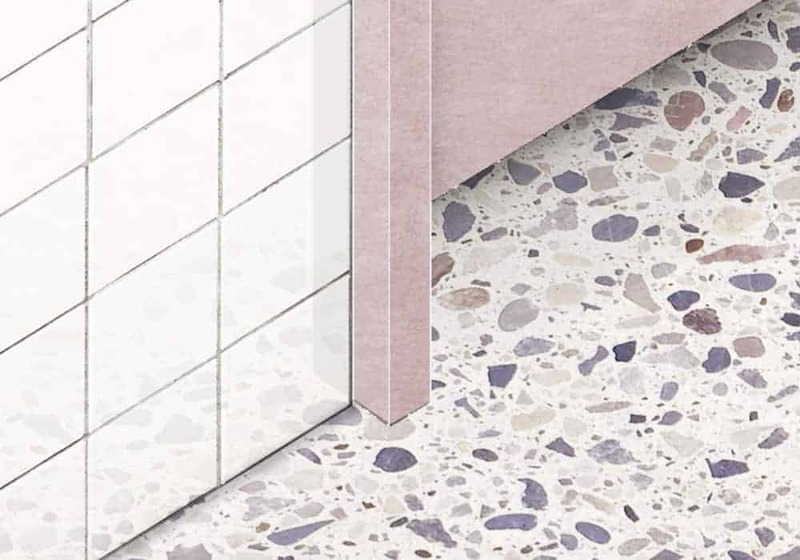 Inspired by land art works by Michael Heizer and Robert Morris, the building creates a clear threshold as both an entrance and a destination. 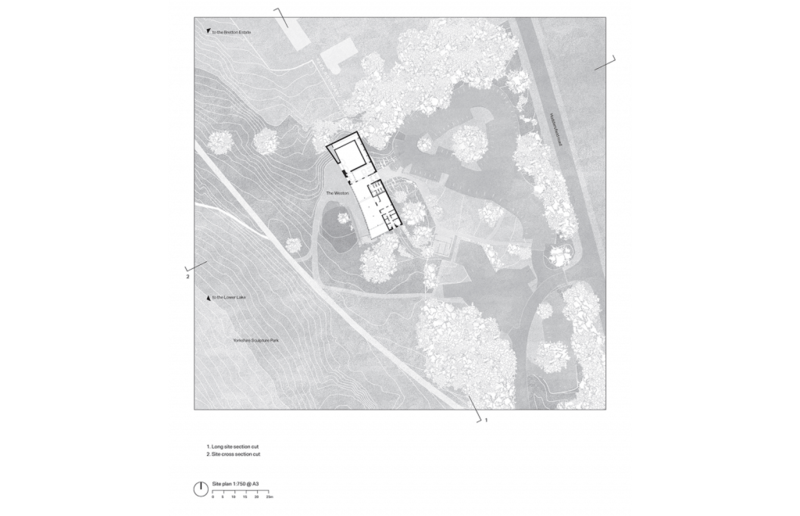 It comprises of a new restaurant, gallery, public foyer and shop, and will significantly upgrade the visitor experience at the East Entrance to the 200-hectare Park. 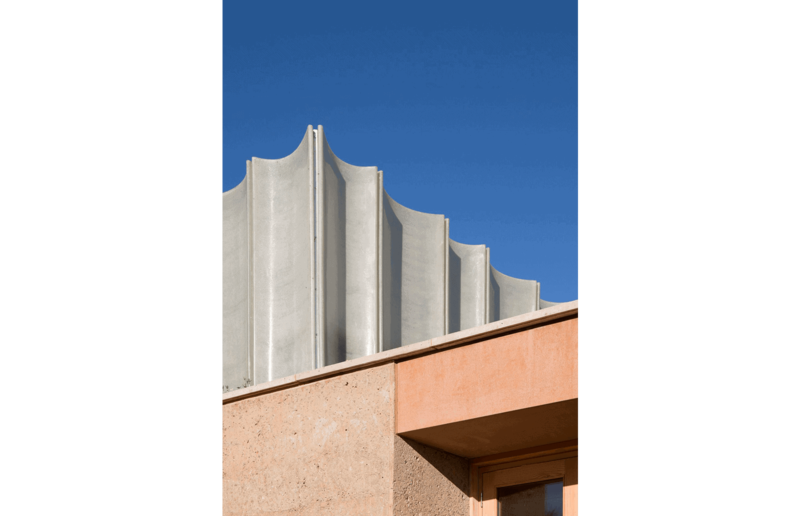 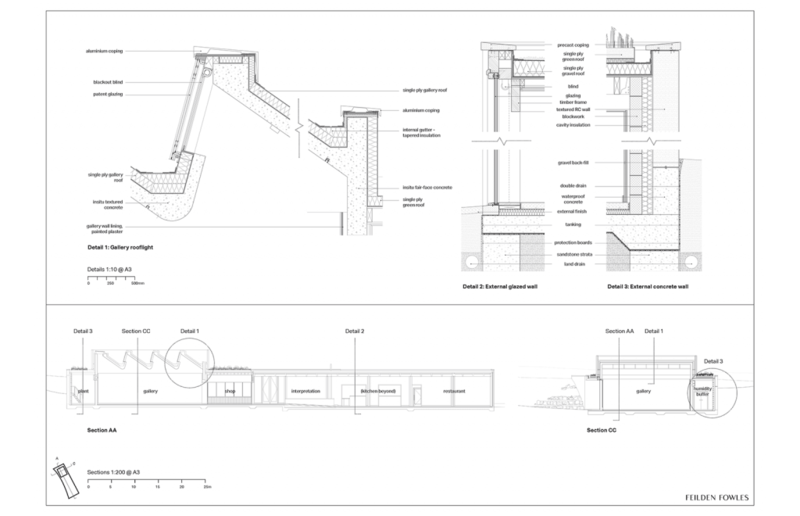 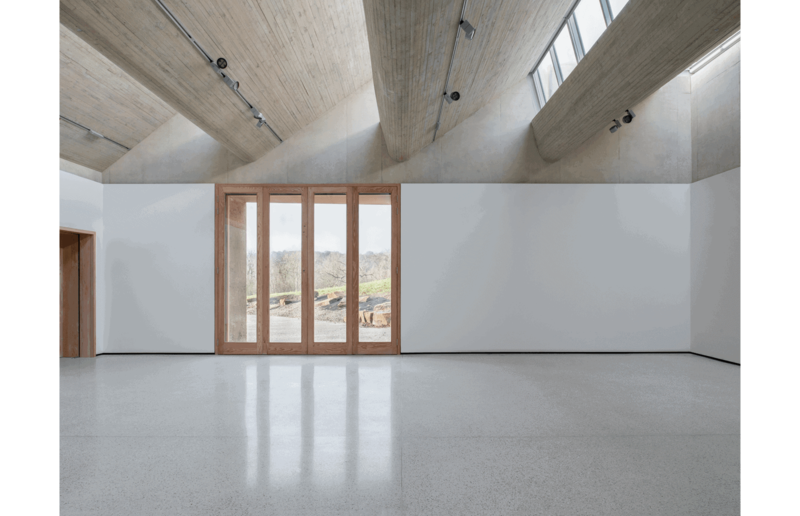 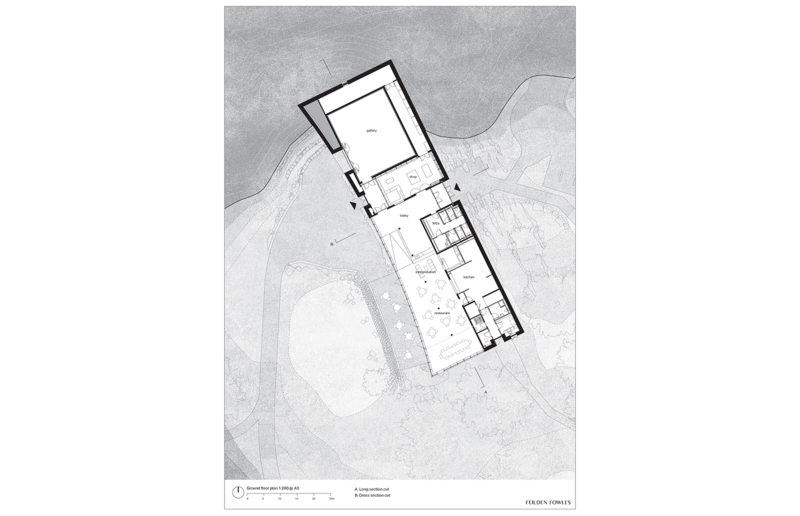 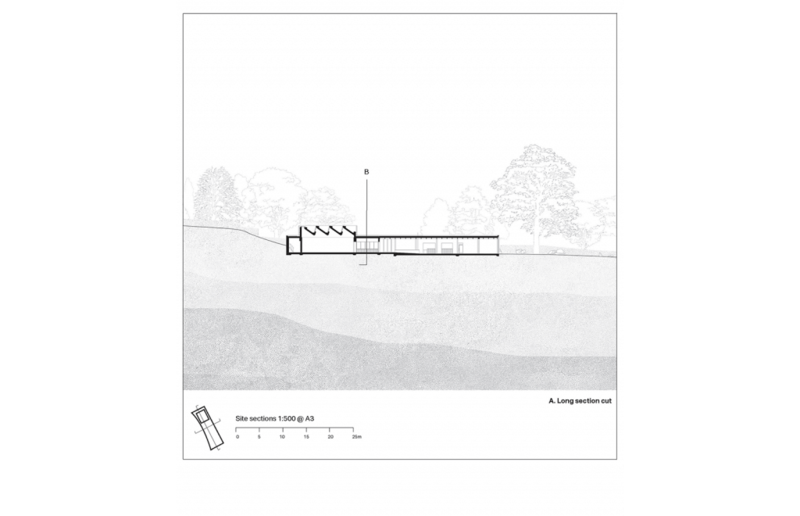 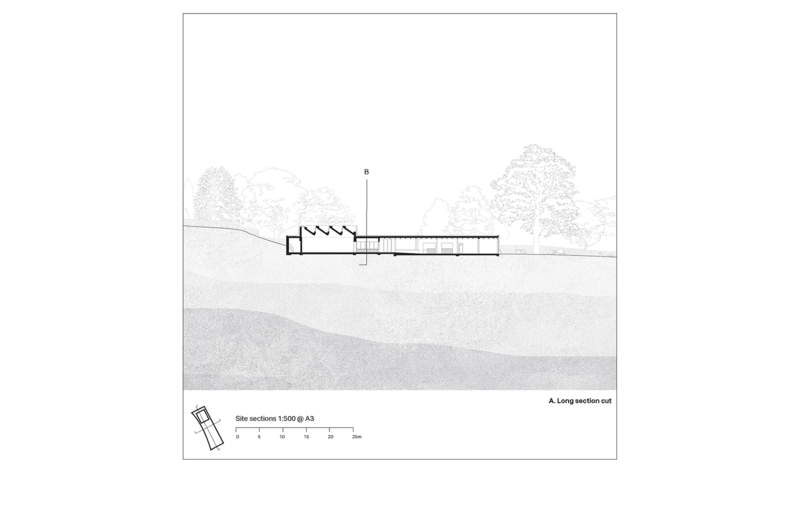 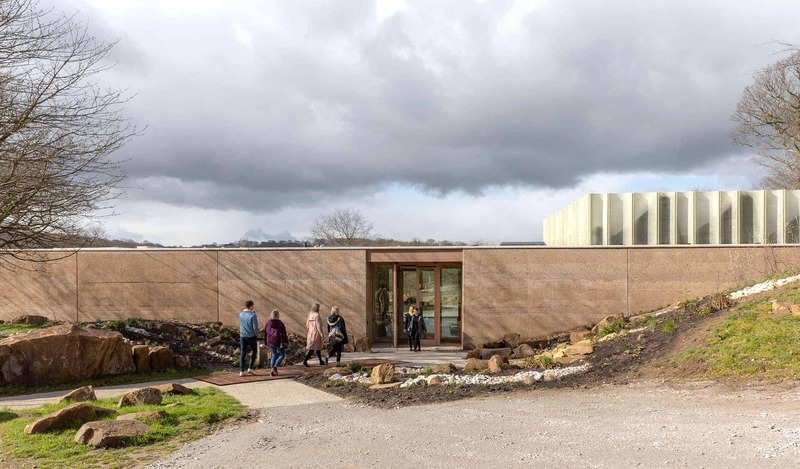 Constructed from layered pigmented concrete, evoking the strata of the millstone bedrock beneath, the building which emerges from the hillside of a former quarry, is defined by a concrete saw-tooth roof and scalloped GRP crown. 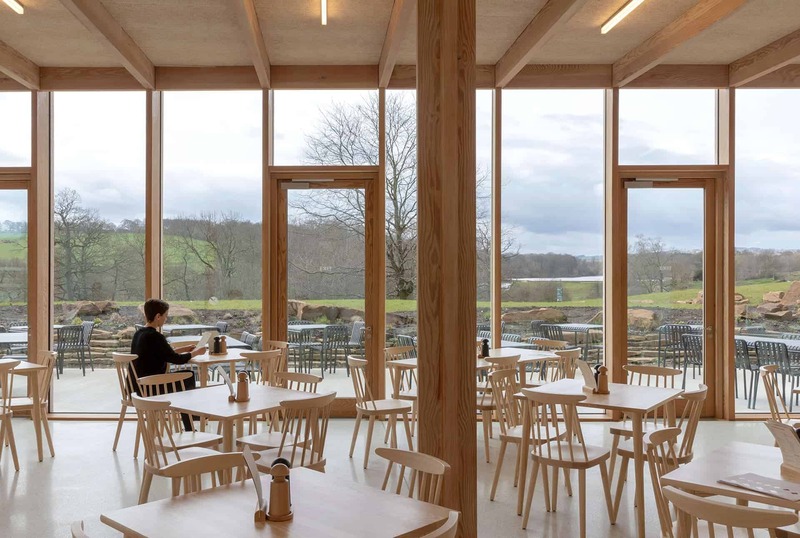 Its low profile protects it from the nearby motorway and forms a sheltered, sunken terrace with views across the park towards the Lower Lake and Bretton Hall. 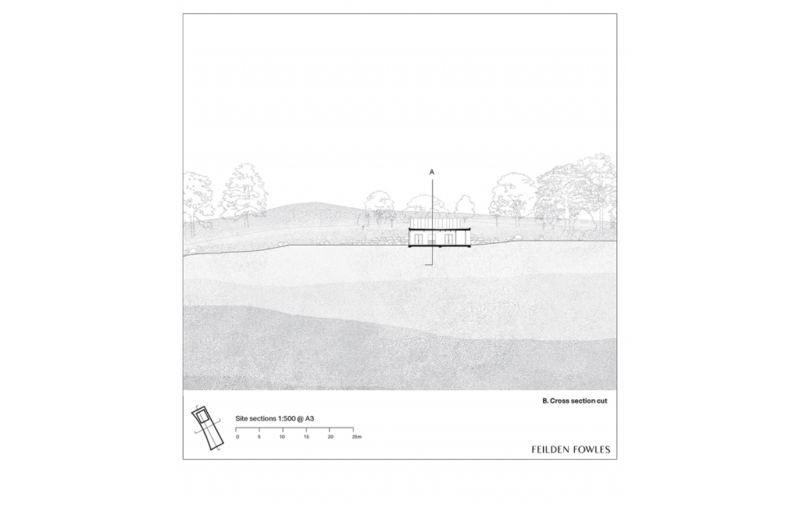 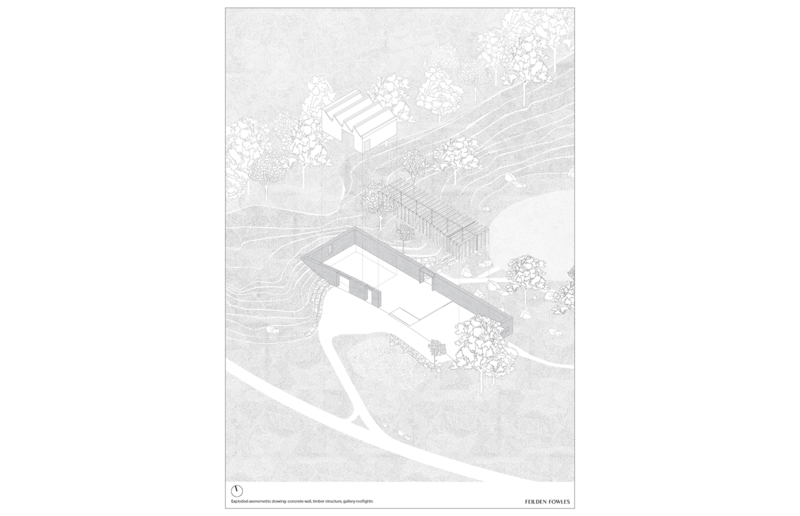 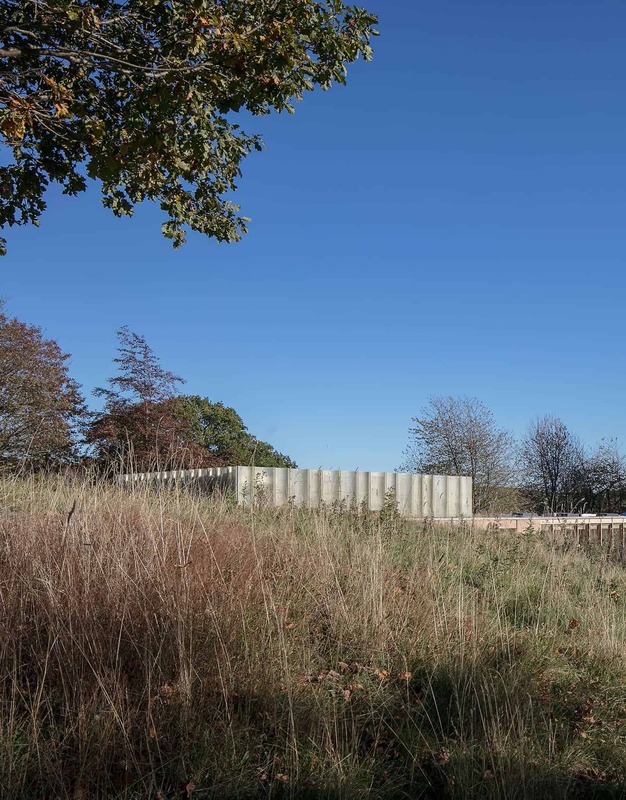 The project aims to enhance physical, intellectual and sensory access to the landscape, ecology and heritage of the historic estate, as well as to sculpture presented elsewhere in the park. 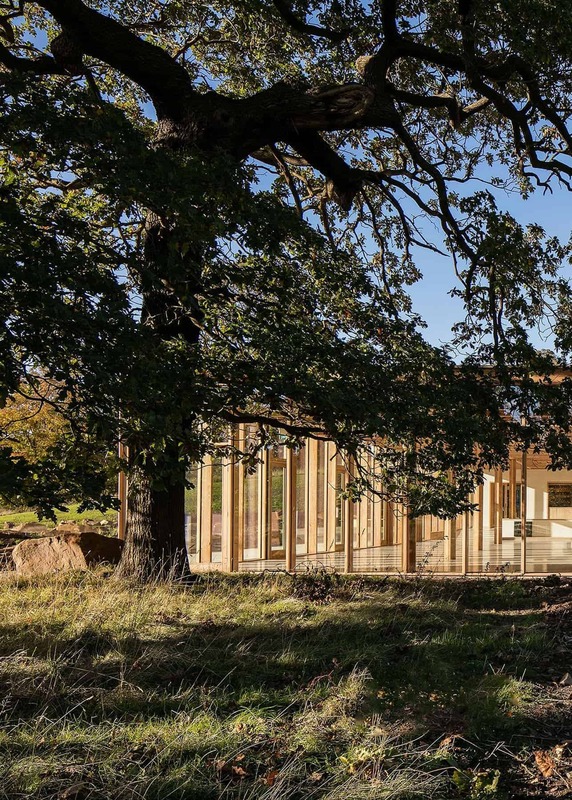 The planted wild-flower roof and outdoor terrace framed with staggered boulder-seating further root the scheme in its native landscape. 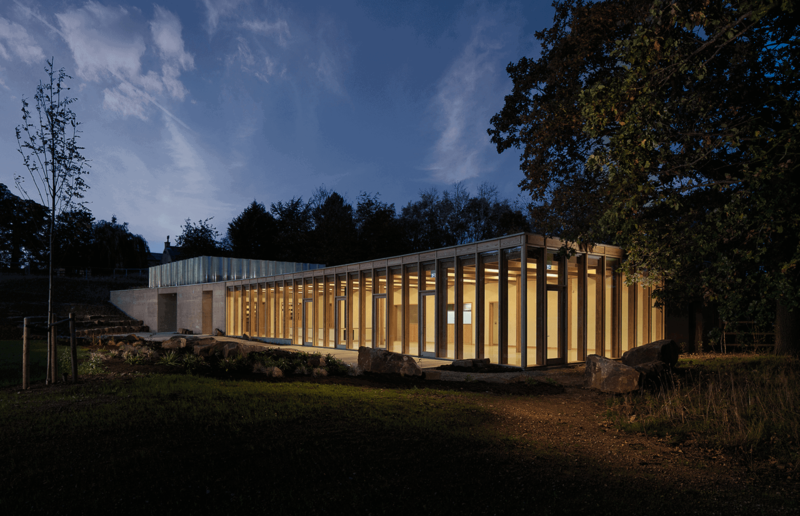 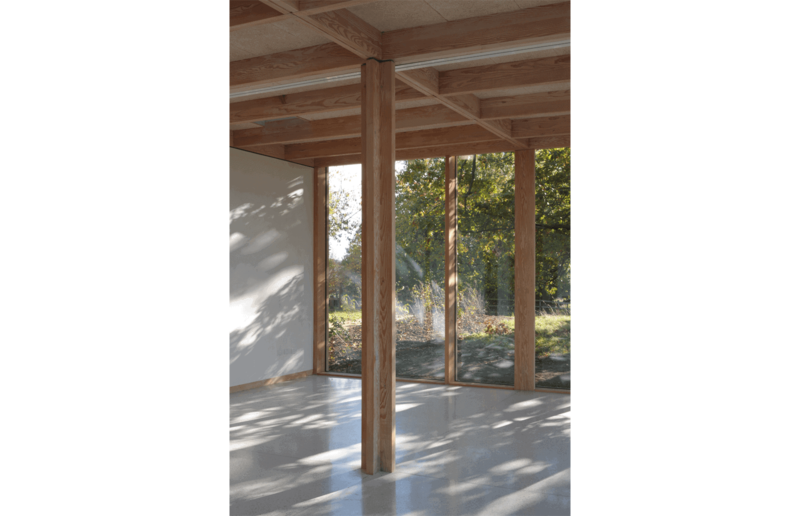 Well insulated and naturally ventilated, the centre features an air-source heat pump and a pioneering low-energy environmental control system which uses a passive humidity buffer to maintain favourable gallery conditions, which will showcase a changing programme of temporary exhibitions, by 20th- and 21st-century artists to complement the collection in the park’s outdoor space.